If you want to show all the portfolios in a page with all categories like our demo use this ShortCode. Just copy this ShortCode and paste it to your page or post content area in text mode. Using portfolio ShortCode in page. Basic use. You our ShortCode generator to generate your customized portfolio ShortCode, which allow you to customize the ShortCode in many ways. You can generate multiple customized portfolio ShortCode to use different pages. Set number of portfolios to show. Enable or disable the portfolio pagination. Enable or disable the portfolio filtering. Set portfolio order and order-by. Include or exclude the portfolio categories. For adding new Portfolio go to your site admin and navigate to Portfolio > Add New. It’s similar to adding new post. 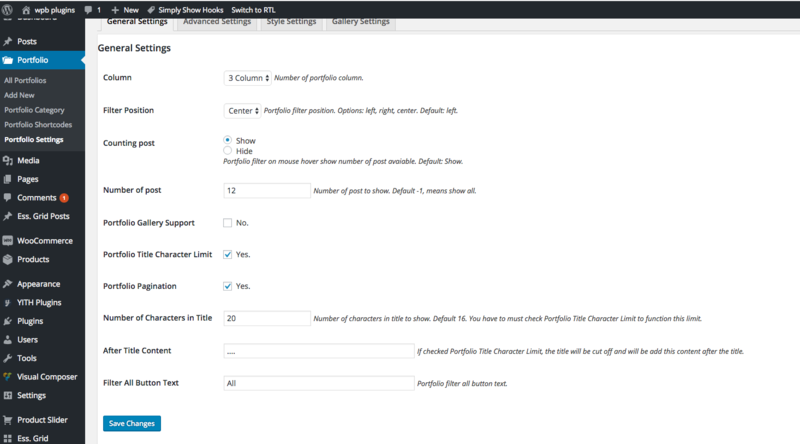 You have to write portfolio title, set feature image which will be shown in the portfolio grid by default, portfolio content which will be shown in the portfolio quick view popup area and single portfolio page, portfolio categories which will be use for portfolio filtering. You will also see here a portfolio option box bellow the content area, like the screenshot bellow. If you set external link in the portfolio option the portfolio grid link icon will be linked to this external link otherwise it will be linked to the single portfolio page. By checking the disable overlay checkbox you can disable the gird overlay which comes on mouse hover. You can set content type for the grid and quick-view popup, you can set video iframe as well. And you can add portfolio image gallery, which will be shown in the quick-view area. 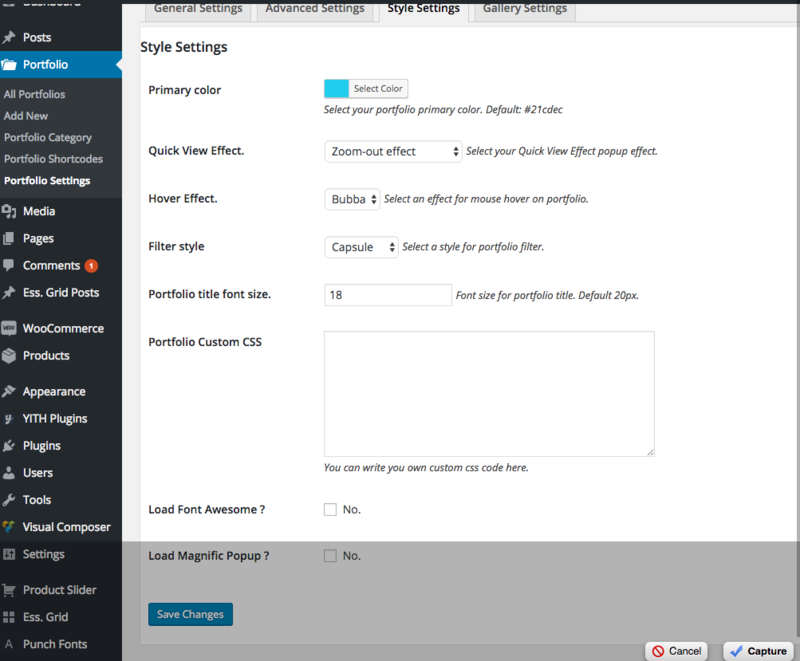 Gallery can be completely disable form the portfolio settings. 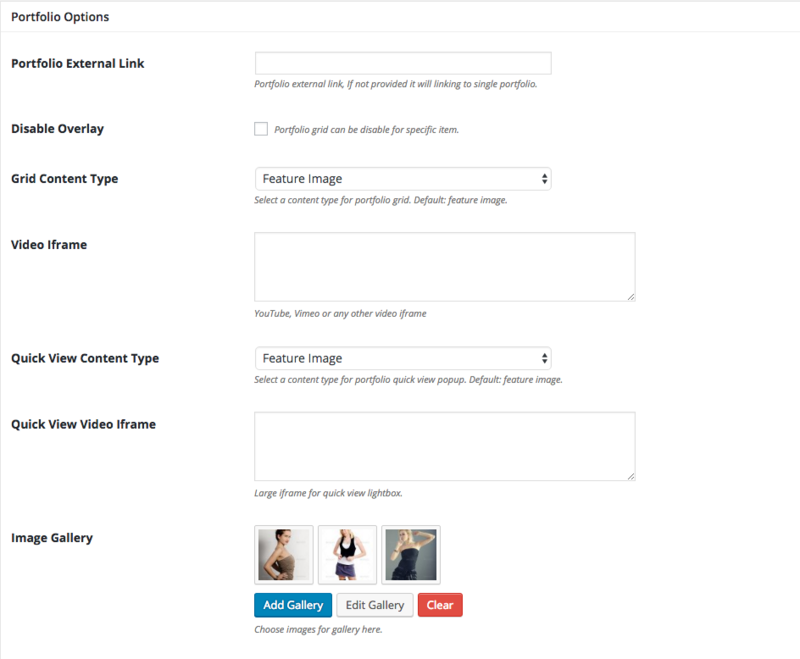 WPB filterable portfolio WordPress plugin comes with a powerful setting panel. It has three different settings tab. 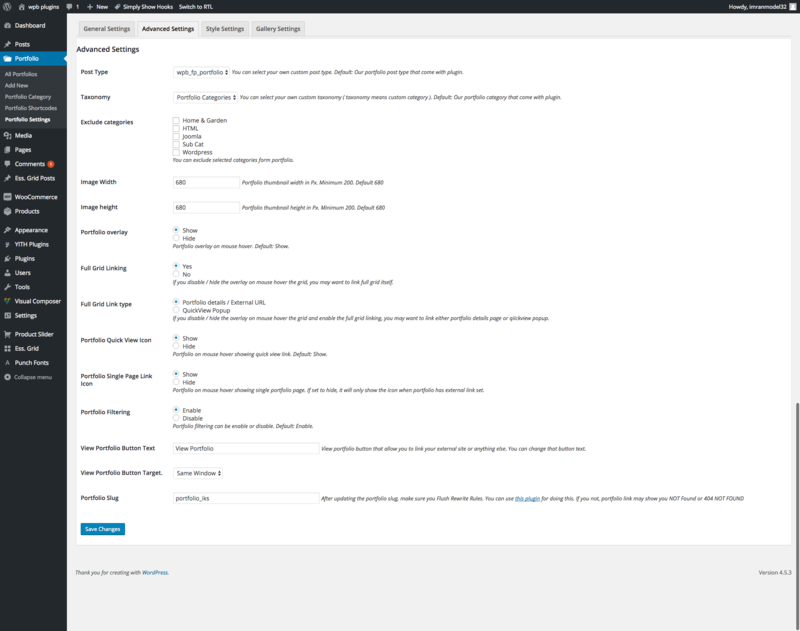 Read the settings fields description or help text form details.